BA (Honors) City College of New York (1992); MA (International Relations), City College of New York (1995) and Ph.D. (History), University of Wisconsin-Madison (2005). Professor Kobo has served as Visiting Assistant Professor of African history at Marquette University and Gettysburg College before joining the History Department in 2006. Professor Kobo's research and teaching interests include 20th century West African social and religious history; contemporary Islamic history; Sufism; Islam under French and British colonialism in Africa; and the social history of West African migrants in the United States. His book, "Unveiling Modernity in West African Islamic Reforms, 1950-2000," (Brill Publishers, 2012), documents and compares the histories of contemporary Islamic reforms associated with Wahhabism in Ghana and Burkina Faso. The book also examines the ways the rise of Wahhabi-inclined movements at the end of colonial rule helps us understand Muslims' engagements with modernity. 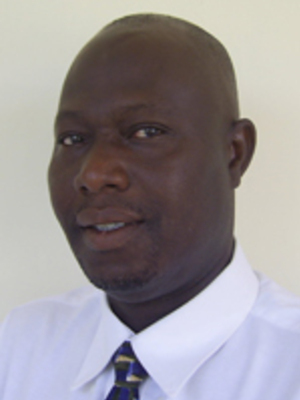 His publications include, "The Development of Wahhabi Reforms in Ghana and Burkina Faso, 1960–1990: Elective Affinities between Western-Educated Muslims and Islamic Scholars" (Comparative Studies in Society and History, 2009 and "'We are citizens too': the Politics of Citizenship in Independent Ghana." Journal of Modern African Studies, vol. 48 no. 1 (2010): 67-94. Kobo has received prestigious awards and grants to support his scholarly work including the MacArthur Fellowship for International Peace and the Boren Fellowship. He was also the co-recipient of the Distinguished Service Award awarded to two CCNY alumni during the College's centennial celebration in 1997, for his service to the College. During 2012-2013 academic year, he was appointed a Visiting Scholar at the Center for Islamic Studies at the University of Oxford (UK). He is currently working on his second book manuscript tentatively titled, "The Gun and the Rosary: Subtle Relations of Co-existence between Charismatic Muslim Leaders and French Colonial Administration in Burkina Faso, 1920-1946."